Tiva fans, have you heard the good news? 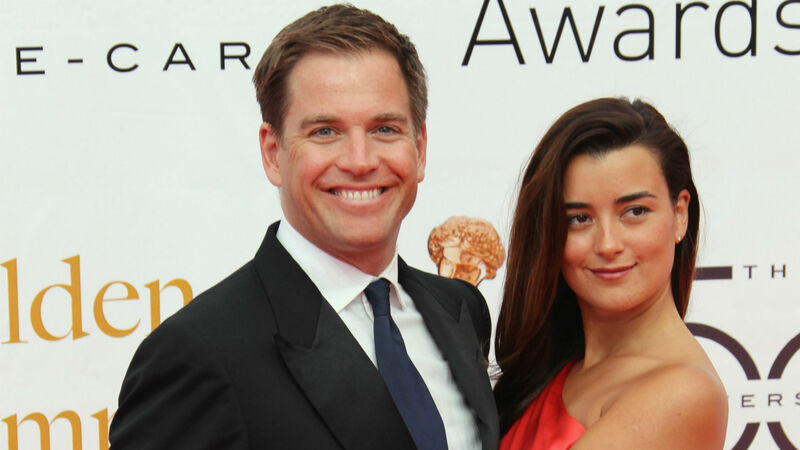 On Tuesday, TVLine reported Cote de Pablo and Michael Weatherly are reuniting for TV. Before you get even more excited than you most likely already are, there is a catch to their reunion. They won't be returning to the small screen to play new characters side by side, but rather, Weatherly and de Pablo are developing a drama series for CBS. Per TVLine, they are set to executive produce with Shepard Boucher (Riverdale, Angie Tribeca). Boucher will also write the script. Even though the two won't be in front of the camera (at least for right now), this is still very good news. Weatherly and de Pablo creating a series for television together? How amazing is that? The potential series is titled MIA and focuses on a new homicide detective coming from an undercover agent background. She gets assigned to a "by-the-book-partner" at the Miami Police Department, but trouble begins when she struggles to keep the personal entanglements she made during her final undercover assignment from threatening her future. With Weatherly starring in his own CBS drama, Bull, it would probably be hard for him to also appear as a character in MIA, if it were to get picked up. That said, there could always be a chance he and de Pablo would step forward from behind the camera to reunite on screen. If that ever happens, NCIS fans would definitely be thrilled. On Tuesday, Weatherly reacted to the news by simply tweeting a link to Variety's write-up about his new project and writing, "Hi!" It was a huge adjustment for NCIS viewers when both Weatherly (who played Tony DiNozzo) and de Pablo (who played Ziva David) left the drama in 2016 and 2013, respectively. As fans are aware, in the season 13 finale, it was revealed Ziva had apparently died in a mortar attack. Upon Tony's departure, he moved to Paris to take care of his daughter, Tali, whom Ziva gave birth to offscreen sometime after her departure from NCIS. Tony was unaware he even had a daughter, which was one of the many reasons he decided to move on from his job at NCIS. This was a huge moment for fans, especially since they always rooted for Tiva to be together romantically. And now, Weatherly and de Pablo are reuniting in a whole new sense. To even be able to utter their names in the same sentence again is truly wonderful. Here's hoping MIA finds success.